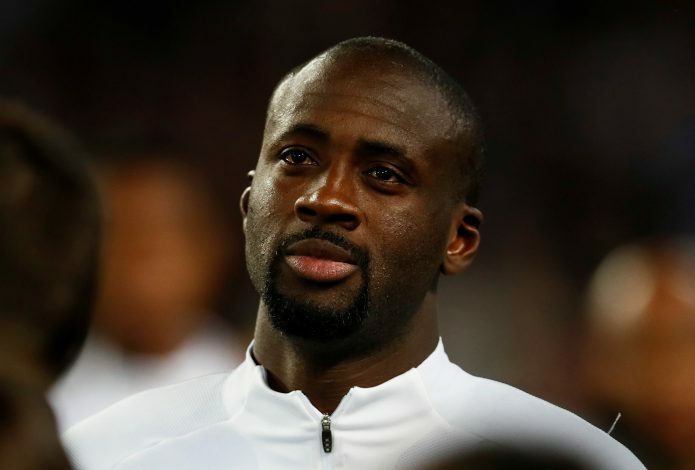 Ivory Coast international Yaya Toure has turned into an attractive option in the transfer market for top clubs in the Premier League this summer, and Manchester United could also be in the mix. Toure, who ended his eight-year stint with Manchester City at the end of the previous season, spoke to the media earlier this month, saying that this is the right time for him to end his ties with Pep Guardiola’s side. The former Barcelona man, who won seven trophies in his spell in England, managed 25 league appearances last season, but that drastically dropped to just 10 in the record-breaking campaign for the Citizens. But Toure believes that he still has a couple of years of football left in his legs, as he stated: “I’ve been playing football for such a long time, I’m no good in the office or something else. I am good in football. He went on to praise City – a club he has aided tremendously in achieving its current status. Toure felt that it will be hard for him to face off against Manchester City next season, but said that he is open to joining even their fiercest of his rivals. In the same interview, Toure was asked about English midfielder Michael Carrick, who retired from the game this season. The 35-year old City midfielder refused to rule out a chance of replacing him at Manchester United. “Yeah, he just left. Let’s see, let’s see. I don’t rule big teams out. The big teams are very important for me,” Toure replied. He promised that he will continue playing at the highest level for at least another season or two, effectively putting himself in the market as a free agent this summer. “I just want to say that definitely, I will continue to play at a high level – Champions League or Europa League,” concluded the decorated midfielder. Where do you think Toure will play his football next season?